Outside: New Liquid Viagra! 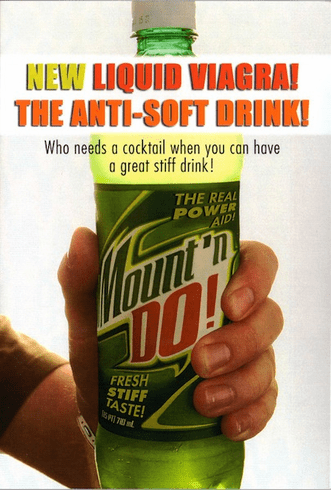 The Anti-Soft Drink! Who needs a cocktail when you can have a great stiff drink! Inside: It's your birthday Take it like a man! Happy Birthday!